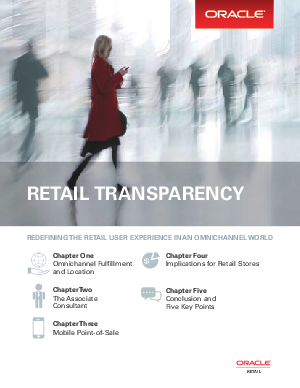 shoppers, many have neglected to consider what will likely be the most profound change of all: the overall impact of omnichannel data transparency. transparent inventory and what that means for fulfillment, a single view of the customer and its implications for loyalty programs, and even the physical location of stores. Retailers must stay ahead of the omnichannel curve if they expect to remain competitive in the race for customers in a commerce anywhere world, and that contest begins at the brick-and-mortar store.